Bacteria are organisms made up of just one cell. They are capable of multiplying by themselves. Their shapes are varying. Bacteria exist everywhere, inside and on our bodies. Most of them are completely harmless and some of them are very useful. But some bacteria can cause diseases, either because they end up in the wrong place in the body or simply because they are ‘designed’ to invade us. Antibiotics are medicine used to treat infections caused by bacteria. Antibiotics DO NOT work against viral infection such as common cold, most sore throats, most sinus infections, most coughs, acute bronchitis and the flu. Unwise or overused of antibiotics can lead to antibiotic resistance. Antibiotics resistance happens when antibiotic lose their ability to kill bacteria and it is no longer effective to treat the infections. Resistance to antibiotics occurs when bacteria change in a way that reduces or eliminates the effectiveness of antibiotics. It is driven by the over-use of antibiotics and inappropriate prescribing such as treating infections due to viruses with antibiotics in many upper respiratory infections like common sore throats and common cough. As resistance towards antibiotics becomes more common a greater need for alternative treatments arises. However despite a push for new antibiotic therapies there has been a continued decline in the number of newly approved drugs. Antibiotic resistance therefore poses a significant problem. 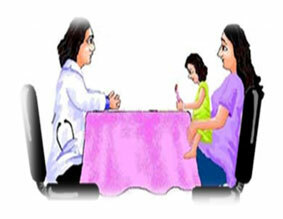 Use antibiotics or give your child antibiotics ONLY when prescribed by a doctor. 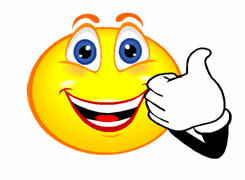 Finish all antibiotics prescribed for you even you feels better. NOT finishing a prescribed treatment of antibiotics contributes to the development of resistant bacteria.,If you do not complete the treatment as recommended, there is a risk of re-infection and a greater likelihood that antibiotic-resistant bacteria will develop. Do not save antibiotics for the next illness. Discard any left over medication once the prescribed course of treatment is completed. Never take antibiotics prescribed for someone else. Do not share or use left over antibiotic. Antibiotics treats specific infections. Do not put a pressure on your doctors to prescribe antibiotics When your doctor determines it is not appropriate. Practice good hygiene such as wash you hands throughly to prevent infections and spread of infections. Understand when antibiotics should be used. 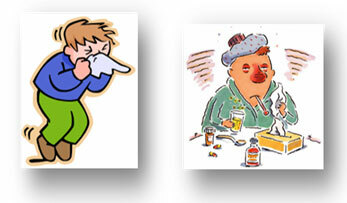 It is not necessary to take antibiotics every time you are sick. Antibiotics are effective in treating most bacterial infections, but they’re not useful against viral infections, such as colds, acute bronchitis or the flu. Some common bacterial ailments, such as mild ear infections, don’t benefit much from antibiotics. Do not put a pressure on your doctor for antibiotics if you have a viral illness. Your doctor knows what is the best treatment for you. Ask what else can be done to help relieve symptoms and do not request for antibiotics when it is not appropriate.Take antibiotics exactly as prescribed. Follow your doctor’s instructions when taking medication. Don’t stop treatment even if you start feeling better. Taking the full course of antibiotics is the only way to kill all of the harmful bacteria. Incompletecourse of antibiotics, on the other hand, often wipes out only the most vulnerable bacteria while allowing relatively resistant bacteria to survive. Never take antibiotics without a prescription. If you didn’t complete a full course of antibiotics, you might be tempted to use the leftover medication the next time you get sick or to pass it to someone else. 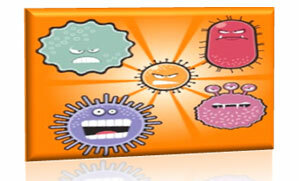 Antibiotics treat spesific types of infections and you may not enough antibiotics to treat the new infections. Prevent the spread of germs. Good hygiene is the best practice in preventing infection. Wash your hands thoroughly with soap and water, especially after using the toilet, changing a diaper, or handling raw meat or poultry. Keep food preparation areas clean. Although antibacterial cleaners and soap are widely available, they aren’t necessary. Plain soap and water work fine to kill germs in most settings. When Will The Doctor Prescribe Antibiotics? Only a doctor can determine when and if you or your child needs an antibiotic. They will write a prescription for you or your child. A safe and effective strategy for antibiotic use involves only prescribing an antibiotic when it is needed and selecting an effective agent at the correct dose with the narrowest spectrum, fewest adverse effects and lowest cost. Reserve broad spectrum antibiotics for indicated conditions only. Get the flu and pneumococcal vaccines. Are not recommended for infants and children less than 2 years of age. For children over 2 years of age follow dosing instructions on package.